I’d near forgotten what it felt like to be a girl in Miraji. I was inconspicuous, but not the same way I’d been as a boy. Not because I was the same as everyone else. Because I didn’t matter. Nobody in Miraji had ever thought enough of a girl to imagine I might be a spy. 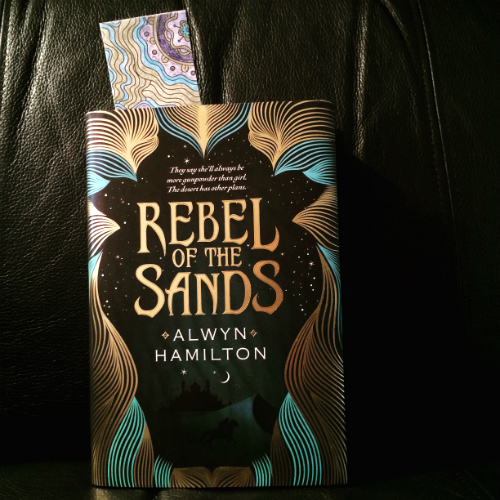 Even though the cover of Rebel of the Sands is gorgeous, I do not know if I would have normally picked it up if it were not a book club pick. While a story about a girl gunslinger sounded cool, Westerns are not my usual genre pick. Since I am willing to read anything, I gave it a go and I am glad I did. What starts as a girl gunslinger trying to escape her dead-end town became a story about a girl finding her inner strength in a world that does not look kindly on women. Amani is the teenager living in a very poor; almost ghost town, living with her hateful aunt and uncle after her mother was hanged for killing her abusive father. As she gets older, she overhears her uncle telling her aunt that it would be more beneficial for him if Amani married him (ick!) instead of the town bully that has his eye on her. Amani hates both of these choices, but has no choice in the matter because she is a woman! Yes, there are many limited choices in this world for her. My anger subsided about the world she had to live in when I would cheer Amani as she fought against these stupid ways. She disguises herself as a boy to enter a gun fighting competition to win herself enough money to ditch town. There she meets Jin, a foreign boy that ends up helping her escape her city. Of course, he ends up being a love interest, but I liked that it was not love at first sight. They do not fully trust one another and slowly grew to know one another as they traveled across the desert. I liked that there was not a love triangle, even though I feared it at one point when they came across a long-time female friend of Jin. I had nothing to fear since there was not any tension between Amani and this woman. Amani had admiration for her since the girl was a straight up badass warrior. It is also during these travels that the story became more than what I expected. It started as a Western, but morphed into a Middle Eastern magical world filled with Djinn, mythical horses, and other mystical beings. I was more interested in the magical elements, but I was also confused. I felt that Alwyn Hamilton could have done a better job explaining all these different creatures that I was not familiar with, but wanted to know more about. I could still follow what was going on, but there was a bit of confusion. While running away with Jin, Amani fell into a rebellion that was fighting the current rule of the country. This part of the book I found the most boring, but since it was near the end, I was already engaged enough to continue. Most of the rebellion is exposition because Rebel of the Sands is the first book in a series. I am guessing that more excitement in relation to this rebellion will take place in the second book, but it was snoozefest in this one. More magical elements came into play towards the end of the book and that kept me engaged, and I hope more exploration into the magical and mythical are explored in the second book. This was a debut novel for Alwyn Hamilton, and while some parts could have used some polish, they were minor overall. 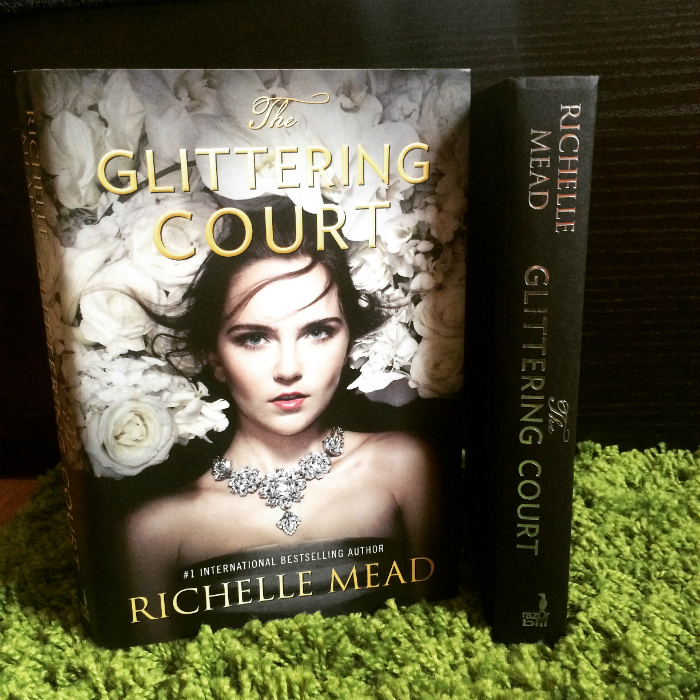 I found it an impressive debut and look forward to reading more in this series. 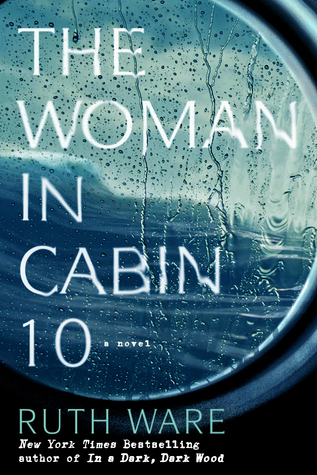 Yes, that was up for a vote one month in a previous book club I was in, but it didn’t win. I have thought I should just read it anyway. I’d recommend it, it was really good! I honestly didn’t know it was part of a series when I read it, it works fine as a stand-alone. Maybe it was supposed to be a stand-alone but the writer decided they wanted to continue it recently. I can see how it could continue, but there wasn’t anything that I can think of that was left really unresolved. But it definitely can continue from where it left off. I’m intrigued to see where it goes.